NASHVILLE, TN – Acoustic trio Raven and Red announce February 2, 2018, release date for their new CD, We Rise Up, on Line Crossing Records. Originally from Georgia and Pennsylvania and now based in Nashville, Raven and Red are comprised of Brittany Lynn Jones – lead and harmony vocals, 5-string violin, tenor guitar, mandolin and banjolin; and brothers Mitchell Lane – lead & harmony vocals, 6 and 12-string guitars; and Cole King – harmony vocals, mandolin. Special guests on We Rise Up are Paul Leech on electric, upright bass and cello; and Justin Collins on drums and percussion. Raven and Red will celebrate the release of the new CD with a series of special shows, including Saturday, February 10, 2018, for Eddie Owen Presents at the Red Clay Music Foundry in Duluth, Georgia (just outside of Atlanta). Music starts at 8 pm.(http://eddieowenpresents.com/). 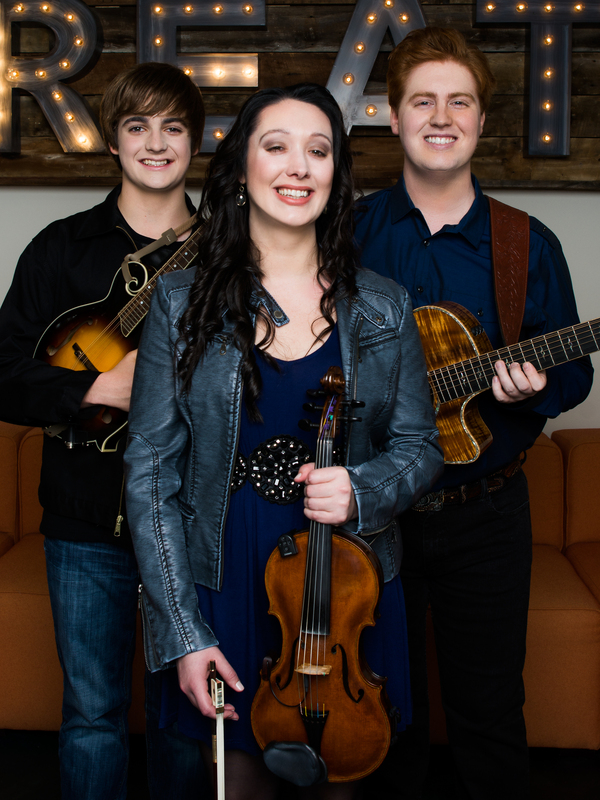 The trio will also perform several shows at the upcoming Folk Alliance International Conference in Kansas City, Missouri, February 14-18. In the four short years of performing full-time, Raven and Red have opened shows for Grammy Award-nominees Connie Smith and Dailey & Vincent, multi-award-winning bluegrass groups Russell Moore & IIIrd Tyme Out and The Claire Lynch Band, and Irish pop/Celtic rock band, Screaming Orphans. The group has joined the lineup for the 2018 Dailey & Vincent LandFest in the Mountains, held at the Georgia Mountain Fairgrounds in Hiawassee, GA.